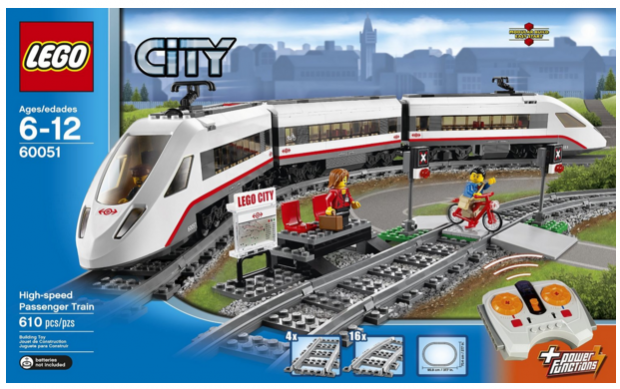 LEGO City Trains High-speed Passenger Train 60051 Building Toy Just $110 Down From $150! You are here: Home / Great Deals / Amazon Deals / LEGO City Trains High-speed Passenger Train 60051 Building Toy Just $110 Down From $150! Check out this neat Christmas gift idea. The LEGO City Trains High-speed Passenger Train 60051 Building Toy is just $110 down from $150 on Amazon! Get yours now while it lasts!